“One of the underpinning elements of the new ‘Making it Real’ framework, is that all forms of support are based on conversations around what matters most to people” says Jim Thomas, Programme Head at Skills for Care. 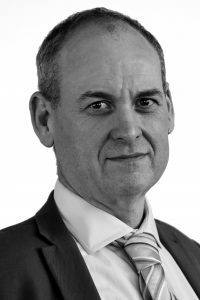 In his latest blog for Social Care News during the week of NCASC 2018, he explains how conversations can help us plan care and support that people want and need, and how Skills for Care’s new guide can help providers and commissioners take this approach. In everyday life, conversation is the way we learn about people. By having conversations with people who need care and support, you can find out all sorts of things that could be lost if you followed a standard assessment form. You can learn about their likes, dislikes, talents and skills, to find out what matters most to them and how they’d like to be supported. This ensures people access the care and support they both want and need. This approach is called conversational assessment. 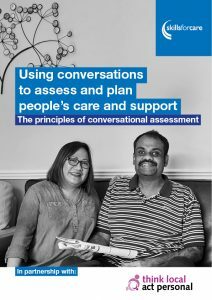 Our new guide, developed in partnership with Think Local Act Personal (TLAP), explains what conversational assessment is, why it’s important and the key principles you need to follow when doing this form of assessment. It’s for anyone who’s involved in enabling people to understand what care and support is available, for example through assessments. The guide will help you think about taking this approach to deliver more person-centred care and support. It’s also useful for people who commission adult social care services. This approach can inform your decisions and ensure services are based on what local people actually want and need, so you can target your resources where they’ll have the most impact. You can download the guide from our website. In 2018-19 we want to work with adult social care organisations who’ve used this approach, to share how they’ve put the principles into practice. If you speak to any employers who have done this and want to share their learning, please email jim.thomas@skillsforcare.org.uk and copy in jenna.wood@skillsforcare.org.uk.